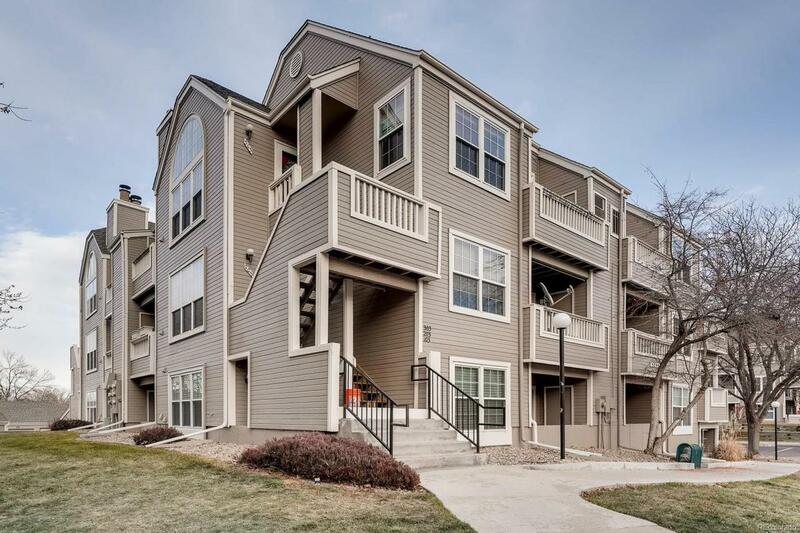 Welcome to this light and bright penthouse condo in Lakewood! This nicely updated condo features a beautifully updated kitchen with granite counter tops, stainless steel appliances, including a convection oven, and tile floors! The living room has vaulted ceilings, ample space to relax and a cozy gas fireplace. The master bedroom has a full private bath, huge closet, vaulted ceilings and a private deck. The secondary bedroom has vaulted ceilings, large closet and a full bath as well. Washer and dryer in unit are included, 2 parking spaces! Don't miss this beautiful condo!